This page will be used to help keep local residents and neighbours up to date with the building project taking place at school during the school year 2018-2019. A newsletter went home today with the following information in that we hopes answer some of the questions that we are been asked. In September 2020 up to 80 children will be able to apply for a place in reception. The number of children in all the other year groups, from year one up to year six, still remains at 70. In September 2021 80 children will be able to apply for a place in reception again and year one may also have up to 80 children in it but, all year groups from year two to year six pupil numbers will remain at 70. The above pattern would slowly filter through the school until September 2026 when there may potentially be up to 80 children in every year group, depending on demand for places. When the reception children move into their brand new classrooms in September 2019 we will be able to use the open plan room they have vacated, in the main school building, as extra space in the school. Teachers and support staff will be able to use this space to enhance the teaching of subjects such as drama, science and music that may readily benefit from the extra space. Support staff will be able to use the learning bays for their intervention work and support programmes such as positive play and booster reading groups with children from throughout the school. In 2017 you may remember that we had builders in school renovating and modernising the old year two open plan classrooms. We hope to be able to do the same with the open plan classroom that the reception children will be vacating and modernise this part of the 1970’s building, to bring it up to the standards that our year two children in Hartington and Ironville classes enjoy today. 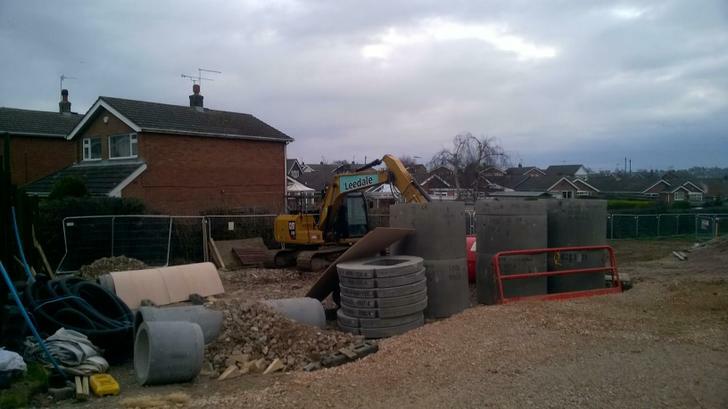 The planning application submitted by the Local Authority in March 2018 showed plans to also potentially build a studio hall and a fourth new classroom. Whereas planning permission was granted for this to take place, there are no plans for these to be built during the present building project. At present the builders are only working towards the building of three new reception classrooms, to be completed by September 2019. 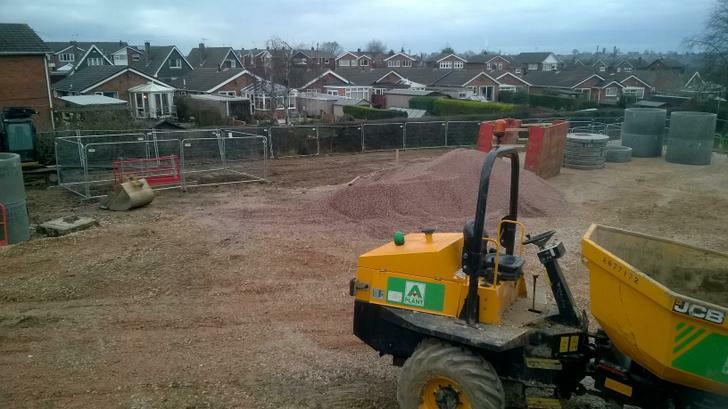 The builders have finished the car park at the front of the school and have done lots of work preparing the ground for the building of the new classrooms at the back of the school. 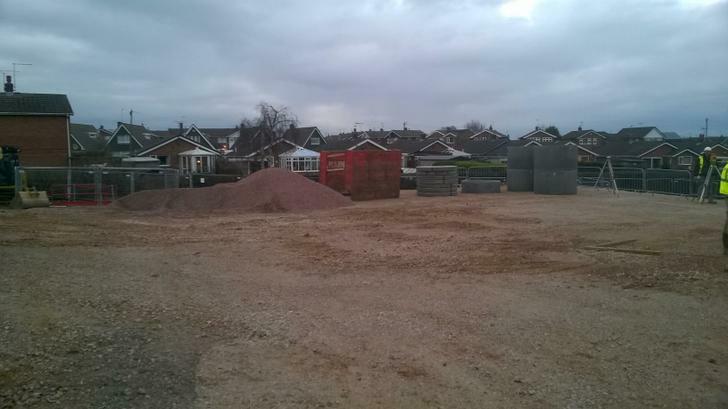 The builders have finished the car park and we will be able to use it on Monday 3rd December. There is still some work to do on the low wall, and car bays need painting on the new tarmac once the weather allows, however, staff will be able to use it next week. We look forward to having more cars parked on school grounds and not on local roads during the day and thank neighbours for their support during the building work at the front of the school. 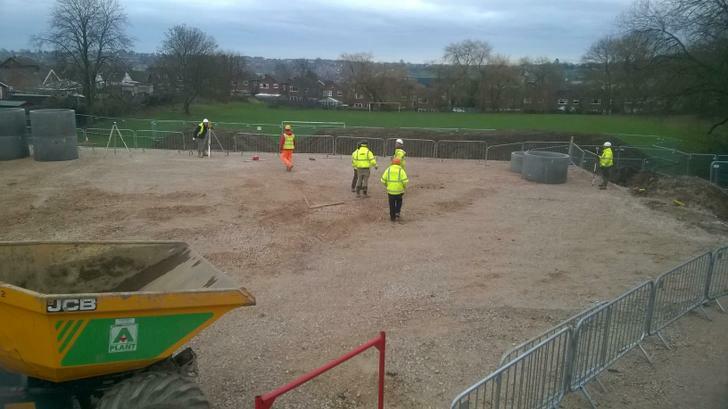 The builders have told us that they hope to hand over the new car park to the school during the week beginning Monday 26th November. 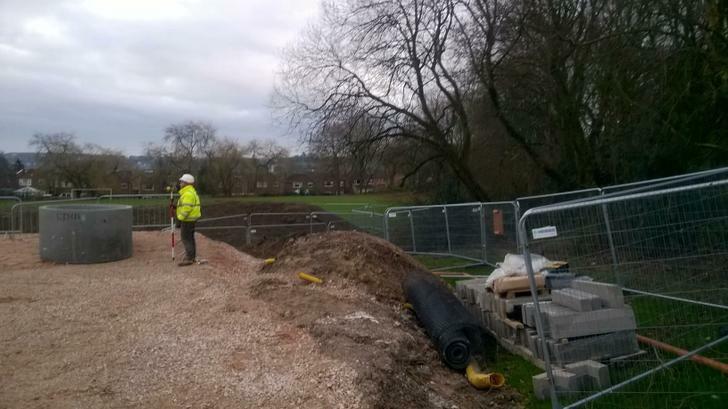 We have been informed today that unfortunately the new car-park will not be completed on Friday 16th as originally planned. 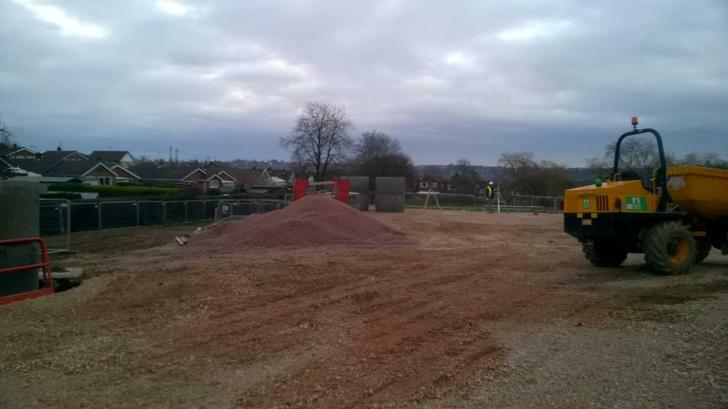 The builders have informed us that they hope to have finished the car park by Friday 16th November. This is really good news as we look forward to gaining some extra car parking spaces. Many thanks to the neighbours that have offered their drive for use during the day. These generous offers mean that there are less cars on the roads. If you have a drive that isn't used during the day and would like to help keep cars off the road during the building work please contact the school office and let Mrs. Howis know. Thank you. Some security fencing is being erected today to help the builders make a prompt start to the extension of the carpark on Monday 29th. Building work is planning on starting during October half term, week beginning Monday 29th October. We have been informed that builders may take advantage of our INSET day on Friday 26th October to bring some equipment onto site whilst there are no children at school.